Wisconsin Wetlands Association ($26,000)The Fund for Lake Michigan is supporting Mequon Preservation Partners—a collaboration of the City of Mequon, the Wisconsin Wetlands Association, Ozaukee County, the Ozaukee Washington Land Trust, and the Milwaukee Metropolitan Sewerage District—in their project to develop a strategy to protect and restore critical land and water resources within the city of Mequon. This strategy will then inform the City of Mequon’s Open Space Preservation Plan, with the goal that the city will adopt this plan by the end of 2018. 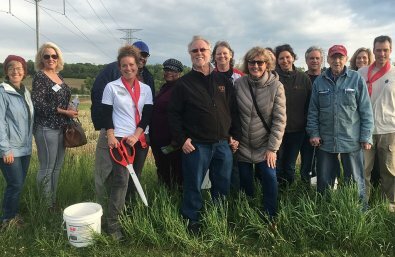 Mequon Preservation Partners will also provide technical assistance to key landowners to improve water quality and habitat.